January – and we’re both busy planning dates for workshops and classes (Painting and Cooking) plus fine-tuning our plans for this years’ Painting Holidays in France. At this time of year we’re often on the look out for new venues to paint from. 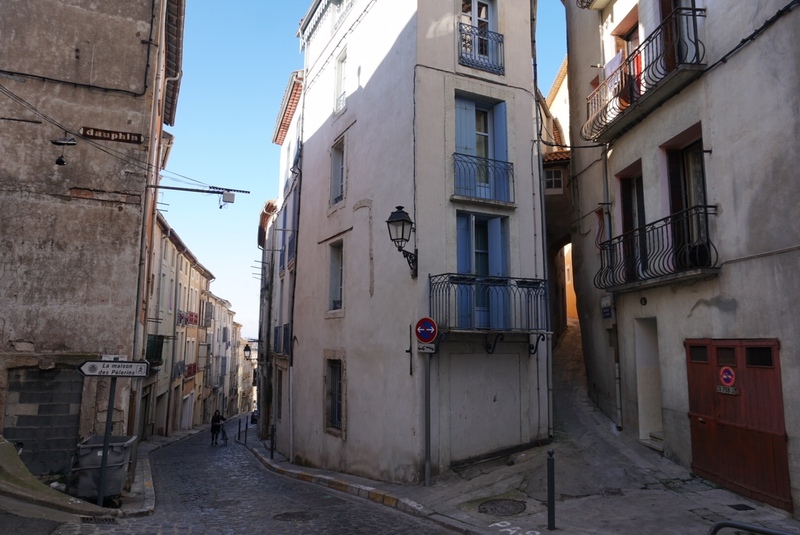 There are some beautiful locations in old Béziers up around the cathedral but, despite living in the area for 8 years, I’d still not been down to the spot where you can look up at the Old Quarter from the river. A clear sunny day last week was the catalyst we needed. 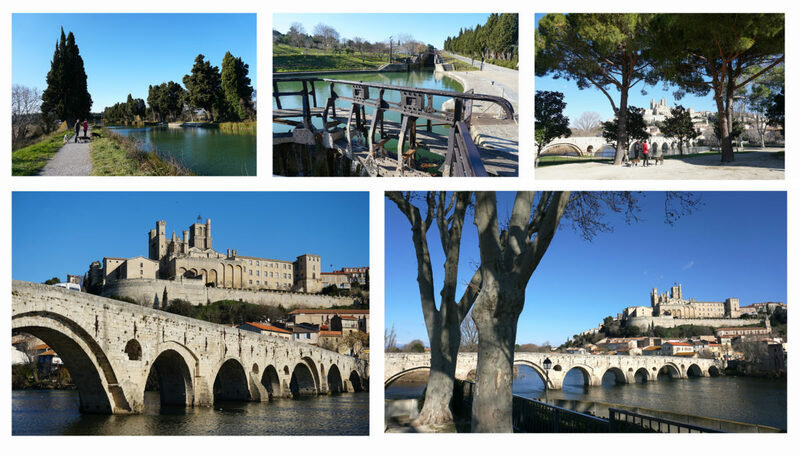 We met up with friends and took a walk along the Canal du Midi with the dogs, looping back over the river. We then strolled back towards the river and passed beneath a number of bridges. The path took us round to the classic view of the Pont Vieux and the Cathedral. We soon found what we felt would be the perfect painting location to set up as a group just above the river bank on a shady terrace. 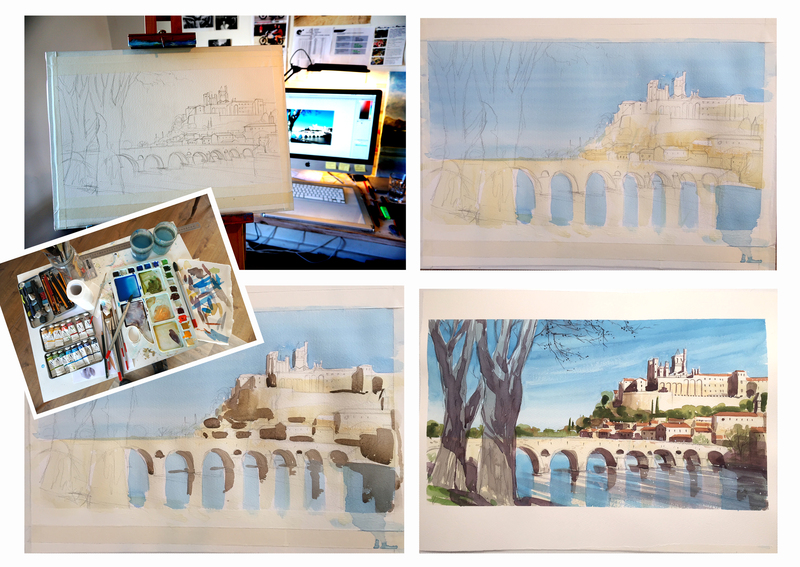 I took some reference photos of the bridge view and later that day I started a step by step painting. Some stages below. Click on this link to see the whole tutorial with colour guides and tips. We then crossed the bridge and climbed the cobble streets up into the old quarter. Fascinating architecture and I’ll definitely be down there sketching before long. I’ll let you know how it goes.